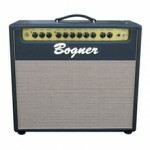 The Bogner Shiva just exudes world-class construction. If you want a well-built amp that can cover a lot of American and British territory, the Shiva might just be what you needed. 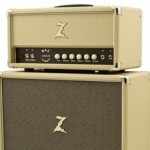 The Dr. Z MAZ-18 NR is well made and fairly priced, a solid contribution to any guitar player’s amplifier arsenal, especially those who get their primary sounds from effects pedals. 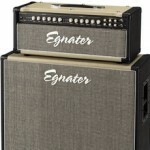 If you want a low cost amplifier that can cover a lot of ground, take a look at the Egnater Renegade. For the price (or even a lot more), it’s tough to beat. 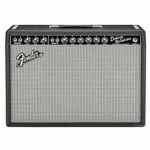 If you want a classic Fender sound without trying your luck at a pawn shop, the Fender Reissue ’65 Deluxe Reverb is well worth the cost of admission. 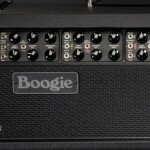 The Mesa/Boogie Mark V is an amp that can be used in studio and stage with the ultimate in flexibility. 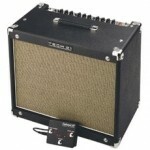 For a gigging guitarist looking for a tube-sounding amplifier that’s versatile and won’t break your back (or wallet), it’s hard to beat the Tech 21 Trademark 60.